If buying kitchen utensils and scented candles as gifts for your style-conscious mom just won’t cut it, it may be time to check out some elegant and fashion-forward presents. Whether your mom is sleek and sophisticated, or glamorous and dramatic, show her you care with stylish jewelry and fun accessories. Be mindful of your mom’s individual taste and when in doubt, classic styles are always a good bet. Whether it’s a sleek satchel or a cute clutch like this one held by Vanessa Williams, every mom can use a timeless handbag. Choose a large, slouchy hobo bag if your mom needs lots of space or a sleek and funky clutch if she prefers to travel light. Stick with classic colors and rich leather to ensure mom gets the most use out of her new purse. It seems like everyone is getting in on the scent scene, from Sarah Jessica Parker to Beyonce. Look for a perfume that fits your mom’s style and body chemistry. Is she into trendy new celebrity scents or classic perfumes like Chanel No. 5? If you don’t want to risk picking the wrong perfume, take your mom to a specialty shop that will let her make her own custom scent. 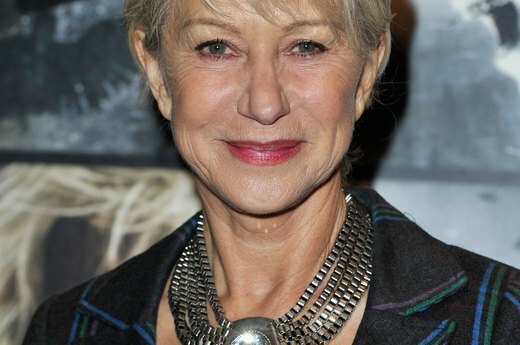 Helen Mirren demonstrates how a bold and sophisticated necklace can make any outfit pop. Big, chunky necklaces will add flare to mom’s fashion-forward outfit and can give structure to flowing or patterned tops. Look for a statement necklace that matches your mom’s usual style, whether it’s classy and sleek or bohemian and relaxed. If your mom never leaves the house without a perfectly made up face, anti-bacterial makeup brushes might be the perfect gift. 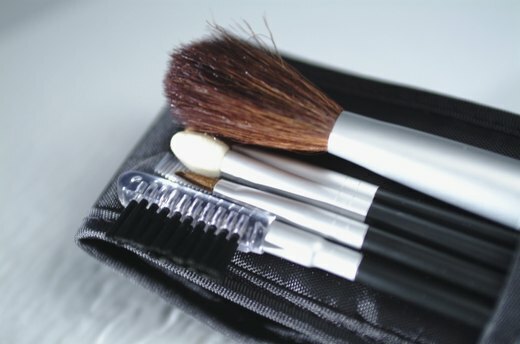 Even with regular cleaning, makeup brushes can collect dirt and makeup particles that could invite harmful bacteria into your pores. Makeup brushes designed to repel bacterial will keep mom looking fresh and fabulous. Go bold with a rich, brightly colored pashmina, like this red and blue number sported by Iman. Mom is sure to feel elegant and luxurious wrapped in the soft cashmere wool of a pure pashmina. For a lighter, more budget-friendly wrap, consider a pashmina/silk blend. With the wide variety of colors and patterns, there are myriad options for mothers of all styles. Women around the world have been wearing bangle bracelets in a variety of colors, materials and styles for years. Whether it’s a single chunky bracelet or several thin bangles, this classy accessory works for all types of moms. Choose from simple gold or silver bangles, or go for gem-studded bangles for extra sparkle. Every woman needs to be pampered from time to time, so treat your mom to a day of luxury with a spa gift certificate. Whether you cover a whole day of massages, a pedicure and facial or just a manicure, she’s sure to appreciate a day of pampering. If a spa package is out of the budget, bring the spa home with a gift basket full of luxurious bath soaps, lotions and scented candles. Catherine Zeta-Jones shows off the sophisticated sparkle achieved with a pair of dangling earrings. Best worn with an up-do or short hairstyle, try to choose an earring that highlights your mom’s look. Consider dangling earrings made with diamonds, gemstones or short chains in pendant or chandelier styles. If your mom has been toting around the same old hair dryer for the past 10 years, it might be time for a change. 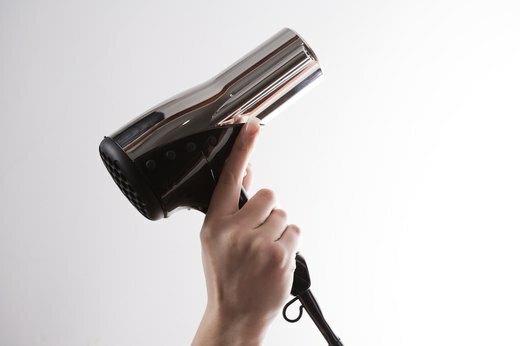 Consider an ionic hair dryer reputed to dry tresses faster and leave hair looking shiny. If the $100 price tag of an ionic hair dryer seems a bit steep, ceramic coil hair dryers are affordable, readily available and heat evenly without getting too hot. Highlight your mom’s beautiful locks with a stylish hair clip. Jennifer Lopez demonstrates just one of the many options mom for a cute, functional barrette or clip. Go glamorous with diamond and crystal hair clips or give mom some drama with feather or flower clips.